The trailer for the TV adaptation of the Tom Clancy novels based on the character Jack Ryan has debuted online and it promises to be next season’s action-packed, spy thriller and your newest guilty pleasure. 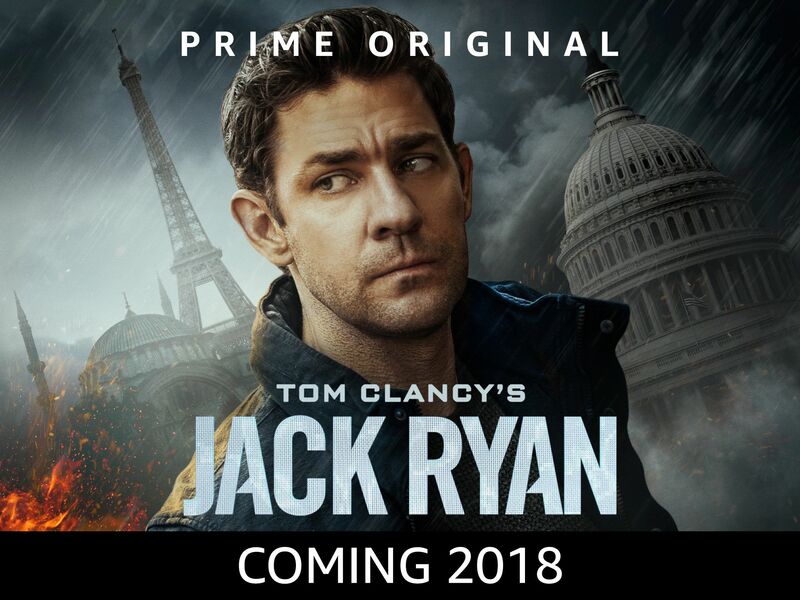 The Amazon-produced first season will run for 8 episodes and it stars John Krasinski as the newcomer CIA recruit Ryan. The trailer follows Krasinski as he takes his first steps inside the Secret Service Agency. The turning point, that provides most of the action and the narrative arch, comes when Ryan is assigned to his first field mission. Thrown in a spy net of terrorists and dangerous criminals, the analyst turned operative will have to measure himself with deadly enemies. Krasinski, fresh off his directorial debut with A Quiet Place, is a bespoke choice as the naive yet capable CIA agent Jack Ryan. His screen presence will definitely help delivering a well rounded character as well as a believable action hero. Amazon is once again proving to be a fair opponent to Netflix’s online content. After having produced solid movies such as The Lost City of Z and Gringo, as well as Golden Globe winning TV series The Marvelous Mrs. Maisel, the big studio is at it again, this time with the action-thriller genre. Given that the 2014 movie adaptation starring Chris Pine and Kiera Knightley left a lot of fans disappointed, hopefully a TV adaptation will do Tom Clancy’s novels justice.